With the French Revolution, the Abbey of Mont-Saint-Michel was closed—like many church buildings—and it was turned into a prison. “What a strange place is this Mont-Saint-Michel!” wrote Victor Hugo, in 1836. “All around us, as far as one can see, infinite space, the blue horizon of the sea, the green horizon of the earth, clouds, air, freedom, birds in full flight, ships with full sails; and then, all of a sudden, there, in the crack of an old wall, above our heads, through a barred window, the pale face of a prisoner.” In a poem, he called it the “pyramid” of the seas. In 2005, the French government, which owns the abbey, began work on a major project to “restore the maritime character” of Mont-Saint-Michel. The buildup of silt was gradually reducing the parts of the bay that filled up with water at high tide, and, according to some studies, if nothing was done, the island would find itself permanently connected to the mainland by 2040. The French central state, together with the regional governments of Normandy and Brittany (Mont-Saint-Michel is technically in Normandy but the Bay of Mont-Saint-Michel is shared by both regions) and the European Union, undertook a massive and expensive renovation project budgeted at nearly $300 million. The main features of the project include: the destruction of the old causeway to allow the sea to move freely around Mont-Saint-Michel and the construction of a light bridge or walkway in its stead; a dam on the Couesnon River to hold water during high tide and then release it when the tide recedes, to push sand away from the island; the destruction of a large parking lot at the foot of the Mont and the construction of a parking area on the mainland with a shuttle bus service to bring tourists and employees to and from the island. The initial impression of the place as one makes one’s way from the shuttle bus is decidedly more commercial than spiritual. The village of Mont-Saint-Michel, which grew up around the church, is tiny, with a full-time population of roughly 50. Its narrow, medieval streets are quickly crowded with tourists, who, shoulder to shoulder, four or five thick, mill about like subway commuters at rush hour along the main street, which is nonstop cafés, hotels, restaurants and shops, selling every kind of souvenir imaginable: key rings, paperweights, potholders, T-shirts, bowls, cups, postcards, caps, pencils, dishes, place mats. The food is mostly bad and overpriced. Almost every other place bears the name La Mère Poulard, the town’s most famous restaurant and the flagship business of Eric Vannier, the former mayor (he just stepped down) and the island’s biggest businessman. Along with numerous hotels and restaurants, he has started a successful brand of Mère Poulard biscuits, cakes and cookies. The brand is so ubiquitous in Mont-Saint-Michel that Vannier is widely, and usually not affectionately, known as Mayor Poulard, which in French (Maire Poulard) sounds almost exactly like Mère Poulard. The omelettes at La Mère Poulard cost between €24 and €49 ($33 to $68). It must be quite an omelette. 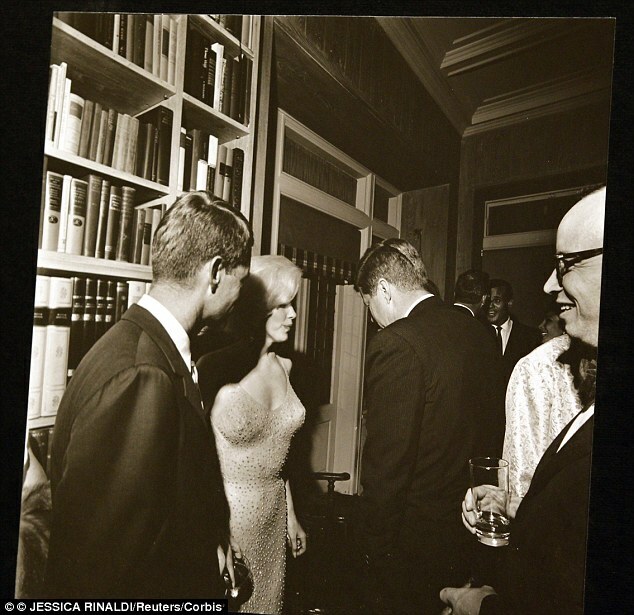 Marilyn Monroe’s death on August 4, 1962 was not a suicide but a murder orchestrated by Bobby Kennedy to silence her as she was about to reveal all the dirty Kennedy family secrets she kept logged in a little red diary. And Bobby did not act alone. He had co-conspirators in her murder - his brother-in-law, actor Peter Lawford, and Marilyn’s psychiatrist, Dr. Ralph Greenson who gave the star a fatal injection of pentobarbital to the heart. Those are the explosive allegations detailed in a blockbuster new book by writers Jay Margolis, a long-time investigative reporter and Monroe expert, and Richard Buskin, a New York Times bestselling author of 30 non- fiction books. This time the shooter is 22-year-old Elliot Rodger. Like clockwork, the cry goes up blaming the National Rifle Association and calling for tougher gun laws. But this time there’s a problem for believers in gun control. The Brady Campaign to Prevent Gun Violence and the Law Center to Prevent Gun Violence gave an “A-” to California's gun control laws, passed as they were by one of the most liberal state governments in the country. SACRAMENTO — California has the toughest gun control laws in the nation, receiving an A- grade in a state-by-state analysis by the Brady Campaign to Prevent Gun Violence and the Law Center to Prevent Gun Violence. In the year after a gunman killed 20 children and six adults at Sandy Hook Elementary School in Connecticut, eight states, including California, passed “major gun reforms,” said Amanda Wilcox, the legislation and policy chair for the California Brady Campaign to Prevent Gun Violence. It’s understandable that the grief-stricken father of one of the victims would lash out, in this case at the NRA. But the hard fact here is that California — a state that is run from top to bottom by liberal Democrats — did exactly what gun control advocates asked. Not to put too fine a point on it, but the Elliot Rodger shooting illustrates exactly the point of gun law critics. It isn’t the gun, it’s the person. In fact, three of the victims were not shot — they were stabbed to death. To burn or otherwise destroy the property of growers and to whip them and others who refuse to co-operate with you in winning your fight against the Trust is more than they deserve. There is no reason why a few persons should continue to make the masses suffer when their cooperation would not only be to their benefit, but would increase the earnings and thus improve the conditions of all equally. If you stumble after drinking red wine, you may be doing it wrong. An experiment on laboratory mice found a diet rich in resveratrol - a compound found in red wine - improved older mice’s balance over time. "Our study suggests that a natural compound like resveratrol...could actually decrease some of the motor deficiencies that are seen in our aging population," the scientist who led the experiment told the American Chemical Society. Bed bugs live off human blood - but they are less keen on the blood once the human in question has drunk a couple of glasses of red wine, according to research carried out at the University of Nebraska-Lincoln in the United States. Drinking more wine, then, could lead to fewer bug bites (or you could tackle the problem head on and try getting rid of the insects). People who drink a glass of red wine a day are less likely to develop dementia, especially Alzheimer's, according to a study conducted at the Central Institute of Mental Health in Mannheim, Germany. The academics found that subjects who drank between two and three units a day were almost a third less likely to be showing signs of dementia at the end of a three-year-period than those who were teetotal. Don’t take my word for it: Hippocrates, the father of modern medicine, apparently prescribed wine to alleviate pain during childbirth - as well as lethargy and diarrhea. Women who drink a moderate amount of alcohol with meals were found to have a lower risk of becoming overweight in middle age, according to a 2010 report in the Archives of Internal Medicine - with red wine-drinkers the least likely to become overweight. The authors of the report noted that the women showed an increase in energy expenditure after drinking, which they suggested balanced out the additional calories in the alcoholic drink. There is no disputing Isabella’s strong religious principles and deep piety. 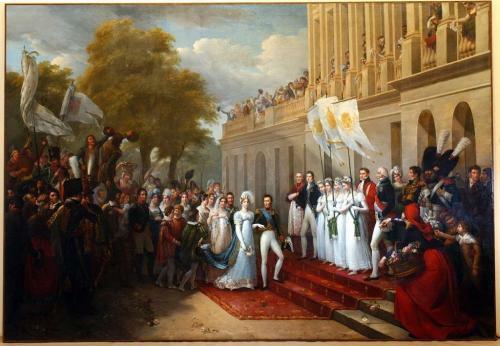 She also modernised the army, patronised the arts, raised the level of education of the Spanish clergy, and, like the Dominican Bartolomé de las Casas, was concerned for the welfare of the Indians once America was discovered. But was she anti-Jewish? If she was, then it is extremely odd for, until the expulsion edict of 1492, Jews occupied influential and high-ranking positions, such as financiers, astrologers, lion keepers and physicians at both the courts of Castile and Aragon. Incidentally, not only was Isabella’s husband Ferdinand descended from a Jewish great-grandmother, Paloma of Toledo, but Isabella herself was delivered at birth by the Jewish court physician Maestre Semaya. Jews such as Abiathar Crescas, a court astrologer and physician to Ferdinand’s father, John of Aragon, were crucial to the successful suit of Ferdinand for Isabella’s hand in marriage. Others such as Pedro de la Caballeria, a convert cleric who observed both Jewish and Christian customs and was commander of the city of Saragossa, were responsible for most of the funding of Ferdinand’s suit. Abraham Senior, a tax farmer to the monarchs of Castile and a professing Jew, was so valued at court as to be dubbed the Crown Rabbi and Judaism’s own Castilian archbishop. For both the Reconquista of Spain from the Moors and the Columbus expedition, Isabella and her husband relied heavily on loans provided by their favourite conversos such as Luis de Santangel, comptroller of the royal household in Aragon, together with prominent Jews such as Don Isaac Abrabanel, a tax farmer, army contractor and chief spokesman for Spanish Jewry. The president of the commission set up to investigate Columbus’s ideas, before he was finally invited to proceed with his expedition, was the New Christian and Dominican confessor of the queen, Hernando de Talavera, later first Archbishop of Granada. What is most likely is not that Isabella was anti-Jewish but that, alongside others of her time, she became deeply suspicious of those conversos who were suspected of not having converted fully to Christianity. Incidentally, such people were often just as deeply distrusted by Orthodox Jews with whom they frequently lived cheek by jowl. For Jews who wished to practise their Judaism, it is probable that Isabella felt no animosity, which is not to say that she did not wish to see them convert to Christianity. Abraham Senior, who converted in 1492 and for whom Isabella and Ferdinand stood as godparents, is a case in point. Indeed, some historians today argue that Isabella’s motive for issuing the edict of expulsion in 1492 was essentially for proselytising purposes, due to the influence of the Dominican Tomás de Torquemada. 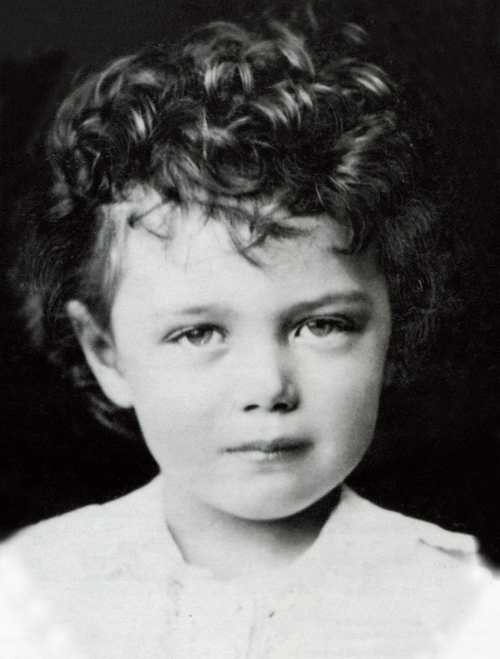 In this, the queen was a child of her times. We must totally deplore Isabella’s edict and the appalling suffering and misery it resulted in for the Sephardic Jews. It is nevertheless anachronistic to describe her action as an example of ethnic cleansing. One should not forget that England, France, Hungary, Strasbourg, Austria, Cologne, Augsburg and Breslau all expelled Jews before Isabella. When I first heard the painful story of Santa Barbara City College student Elliot Rodger, it was extremely hard to believe. Media reports detailed the rampage that resulted in six murders perpetrated by this troubled young man prior to his taking his own life. News reports focused particularly on the comment of one of the victim’s fathers who expressed his anger at what he called “craven, irresponsible politicians and the NRA” (National Rifle Association), suggesting that perhaps gun control of some sort might have prevented this tragic event. But one has to wonder if this story of one man’s loneliness and deep-seated disregard for himself and for those he believed had rejected him is more about how we live today and less about whether or not guns should be banned. We know, for example, that Elliot had been having serious psychological problems for quite some time and that his divorced parents had asked the police to intervene. Yet, nobody knows what it was that provoked this violent response to his emotional pain. Having said that, I believe that, as a human family, we should be reflecting inwardly on this heartbreaking event. In that regard, there is one cultural attitude that I feel represents a growing problem, not just for troubled young people, but for all of us. That is the prevailing sense of not wanting to get involved in the life of another human being, no matter what. It is as though each person is on an island and nobody else needs to be around. With cell phones, texting, Facebook, and the like, social interaction is nearly passé. Then there’s the cultural reset on what it means to respect another human being. A Sudanese woman sentenced to death for apostasy has given birth to a baby girl in the Khartoum prison where she is being held with her 20-month-old son. Meriam Ibrahim, 27, gave birth in the early hours of Tuesday, a month before her due date. Amnesty International said the condition of the mother and baby was not known as Ibrahim's lawyer and her husband, a US citizen, had been denied access to her. Omdurman women's prison has a basic clinic, where the child is thought to have been born. Ibrahim has been shackled since being imprisoned. "The Sudanese government must guarantee her safety and the safety of her children, including the newborn baby," said Amnesty's Manar Idriss. Amnesty has called for Ibrahim's unconditional release. This month a court ruled that Ibrahim's marriage to a Christian man was invalid and that she was guilty of apostasy and adultery. Ibrahim was sentenced to 100 lashes for adultery and to be hanged for apostasy. Ibrahim denied the charges, telling the court she was the daughter of a Sudanese Muslim man and an Ethiopian Christian woman, and had been brought up as a Christian after her father left when she was six. She refused to renounce her faith. Her lawyers lodged an appeal against the convictions last week. "There is no timeframe for the appeal. They usually take a few months, but given the international attention this might be much quicker," Idriss said. If the appeal fails, Ibrahim's lawyers may seek rulings from Sudan's supreme court and constitutional court. Sudan has faced mounting international criticism over the case, with the UK government calling the convictions and sentences barbaric. The US state department said it was deeply disturbed by the case. Globally, more than 700,000 people had backed Amnesty's call for Ibrahim's release by noon on Tuesday, including 113,500 in the UK. Previous studies have suggested that finding a purpose in life lowers risk of mortality above and beyond other factors that are known to predict longevity. But, Hill points out, almost no research examined whether the benefits of purpose vary over time, such as across different developmental periods or after important life transitions. Hill and colleague Nicholas Turiano of the University of Rochester Medical Center decided to explore this question, taking advantage of the nationally representative data available from the Midlife in the United States (MIDUS) study. The researchers looked at data from over 6000 participants, focusing on their self-reported purpose in life (e.g., “Some people wander aimlessly through life, but I am not one of them”) and other psychosocial variables that gauged their positive relations with others and their experience of positive and negative emotions. If you looked inside an English parish church on the eve of the Reformation, you would have seen a space filled with the lives and loves of the community. 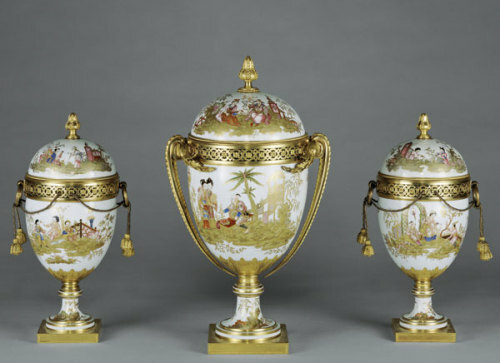 The saints would be draped in the parishioners’ best clothes, jewellery, and beads, often given as bequests in wills. The nave would have numerous side altars, most funded by local guilds to provide daily masses for favoured saints and the deceased of the parish. If the church had the relics of a saint, the reliquary or tomb would be festooned with gold, silver, and wax models of everything from healed limbs to ships saved from calamities at sea — it would be a mini-history of the gratitude of the people. Flowers and candles would be everywhere, as would parishioners, who regularly attended weekday prayers and masses at the many guild and chantry altars. In an age of increasing literacy, significant numbers of the upper and artisanal classes read along in their own devotional books. Religious printing had become big business. It has been estimated that, on the eve of the Reformation, over 57,000 Books of Hours were in circulation in England. All in all, parish churches were at the heart of a vibrant English parish life, where the living celebrated their good fortune and remembered the dead. In 2008, according to the indictment, the hackers sent e-mails to 19 senior employees at aluminum-maker Alcoa in Pennsylvania. The account of the sender impersonated a member of the company's board of directors. The message included malware in an attachment "disguised as an agenda for Alcoa's annual board meeting." The attack led to the theft of more than 2,900 e-mail messages and 863 attachments, "including internal messages among Alcoa senior managers" discussing a Chinese acquisition, according to the indictment. In 2010, a sole employee of United States Steel was targeted with a spear-phishing e-mail. The attack provided "hostnames and descriptions for more than 1,700 servers, including servers that controlled physical access to the company's facilities and mobile device access to the company's networks." And in 2012, a spear-phishing attack allowed the hackers to access "network credentials for virtually every employee" at Allegheny Technologies, which has some 9,500 full-time workers in the aerospace, defense and "specialty materials solutions" sectors. One of Baldwin’s first actions as king was to reject the peace made with Saladin and raid the lands surrounding Damascus. This forced Saladin to quit his attack in Aleppo and adopt a defensive posture. Later that year, the young king led another raid in the Beka’a valley in Lebanon and Syria, and defeated an attack led by Saladin’s nephew. In the first months of his reign, Baldwin proved his capacity to rule. By countering Saladin with an attack on Damascus rather than a frontal assault at Aleppo, Baldwin demonstrated maturity and wisdom beyond his years. This wisdom would guide Baldwin throughout his short life. His insistence on invading Egypt in autumn of 1176 was another example of it. From the beginning of his reign, Baldwin planned to hit Saladin in his Egyptian power base. Lacking sufficient naval strength, he forged an alliance with the Byzantine Empire. Meanwhile, Baldwin’s kinsman, Philip of Flanders, arrived from Europe on crusade, supported by Saint Hildegard’s mandate: “if the time shall come when the infidels seek to destroy the fountain of faith, then fight them as hard as, with God’s help, you may be able to do.”4 Hoping that Philip would salvage the doomed mission, Baldwin offered him regency until he could recover. Philip did not like the terms of the deal and refused. Raymond of Tripoli opposed the attack and the new Grand Master of the Knights of Saint John, young and inexperienced, hesitated. When Byzantine ambassadors became skeptical of the mission and withdrew their support, the assault the king so desired was cancelled. Never again would the Crusaders have such an opportunity to wound Saladin in his power base. Only Baldwin had been wise enough to recognize the mission’s importance. 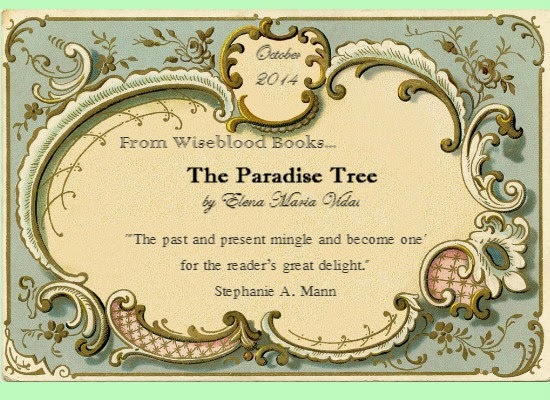 "The Past and Present Mingle"
The Paradise Tree, by Elena Maria Vidal, author of Trianon: A Novel of Royal France and Madame Royale, among other titles: The Paradise Tree grows from the maxim "in every Eden, there dwells a serpent . . . " The year is 1887 in Leeds County, Ontario. The O’Connor clan is gathering to mourn the loss of its patriarch Daniel O’Connor, an Irish immigrant. The story of Daniel and his wife Brigit is one of great hardships, including illness, ill-starred romances, war and political upheavals, as well as undying love and persevering faith. As Daniel is laid to rest, his grandson Fergus receives a piercing insight into what his own calling in life will be. 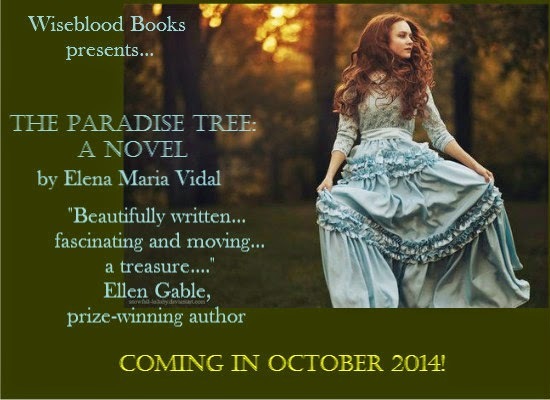 Visit the Elena Maria Vidal website for more information. Having provided a definition of “mysticism” in my first post, I now continue with a description of the characteristics of true mysticism. We can identify three primary qualities of any authentic Catholic mysticism, broadly, strictly or narrowly defined. Any mysticism that deserves the name Catholic must be 1) Eucharistic, 2) Marian and 3) Ecclesial. This does not simply mean that true mysticism is everywhere in the Catholic Church where people who go to Mass, spend time in adoration of the Blessed Sacrament and pray the Rosary. These are all foundational aspects of Catholic mysticism, but by themselves they do not guarantee its authenticity. These external acts must be real signs of full communion with the Church, an active effort to conform oneself to the life of Christ, and to do so by allowing the Immaculate Virgin to form Jesus within us. True mysticism does not support fundamental and willful inconsistencies in these matters. The daughter of a molecatcher (Thomas Marten), Maria had had a checkered past, having had two illegitimate children, one the child of William Corder’s older brother Thomas. That child died in infancy, but another child, Thomas Henry, was alive at the time of Maria’s death. She was four and twenty when she and William began their affair. William held a reputation as a fraudster and a bit of a cad. He sported the nickname of “Foxey,” which indicated his disposition for duplicity. William was known to have sold his father’s pigs without his father’s permission. Later on, he forged a £93 cheque, as well as assisting a local thief, Samuel “Beauty” Smith, to steal a neighbor’s pig. In shame, William had been sent to London, but he was recalled to Polstead when his brother Thomas accidentally drowned when crossing what he thought was a frozen pond. Over the next eighteen months, William’s father and three brothers died. This turn of events left William the family farm, not a bad thing for a minor son. 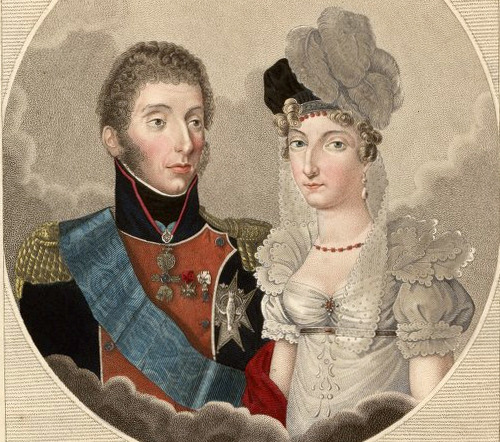 Corder reportedly attempted to keep his relationship with Marten a secret, but it became public knowledge when she bore him a child in 1827. Some say the child died soon afterwards, but other rumors suggest the child had been murdered. Corder, according to Ann Marten, supposedly suggested the elopement, claiming he had heard rumors that the parish officers planed to prosecute Maria for the girl’s loose ways. Originally, the couple was to elope on 16 May, a Wednesday. Corder postponed until Thursday, saying his brother had taken ill. This was questionable for many said his brothers had all passed. On Friday 18 May, Corder called upon the Marten household with the news the local constable had a warrant for Maria’s arrest. In reality, no such warrant existed. He suggested that Maria dress as a man to aid her escape. They would meet at the barn so she might change clothes before they left for Ipswich. Visit Wiseblood Books for more information. You are looking into the face of a child, making eye contact across centuries. You see the play of lights on his eyes, his lashes, the patterning of the iris. He is serious, intent - perhaps a little questioning. 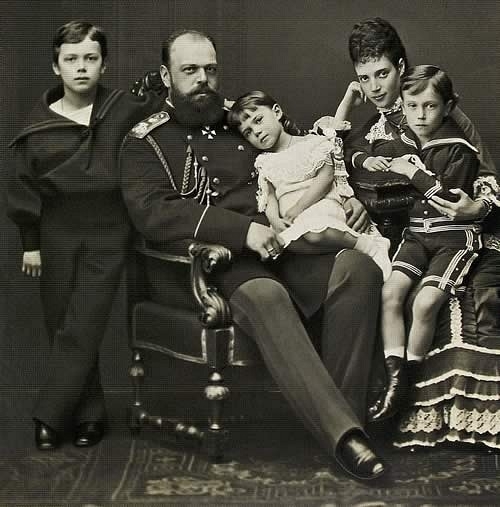 Yet because this is a particular child - the child who will one day grow into Nicholas II, last Tsar of Russia - there is a historical irony at play here. You are aware of his future, he is not, and you are meeting him at a moment when the tragedy of the revolutionary years was beyond imagining. It might still have been prevented. He stares into the camera lens over 130 years ago. The camera and the photographer are long gone but the child lives on, his gaze captured on a frail piece of paper as if it were here and now. 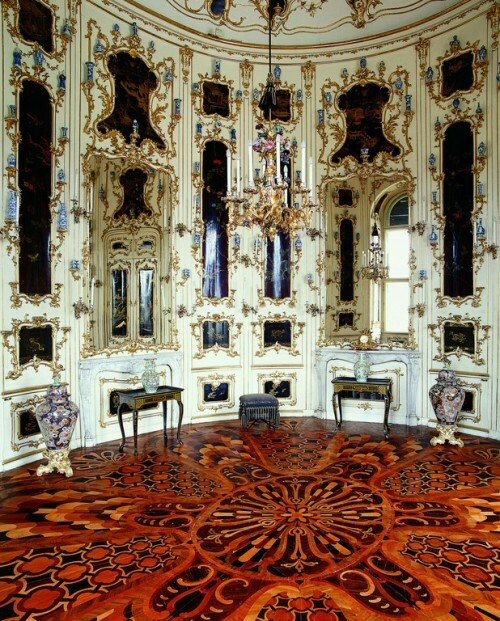 ~from The Camera and the Tsars by Charlotte Zeepvat. Assaults on intellectual and political freedom have been making headlines. Pressure from faculty egged on by Muslim groups induced Brandeis University last month not to grant Ayaan Hirsi Ali, the proponent of women's rights under Islam, an intended honorary degree at its convocation. This was a replay of 1994, when Brandeis faculty demanded that trustees rescind their decision to award an honorary degree to Jeane Kirkpatrick, former U.S. ambassador to the United Nations. In each case, a faculty cabal joined by (let us charitably say) ignorant students promoted the value of repression over the values of America's liberal democracy. Opponents of free speech have lately chalked up many such victories: New York City Police Commissioner Raymond Kelly prevented from speaking at Brown University in November; a lecture by Charles Murray canceled by Azusa Pacific University in April; Condoleezza Rice, former secretary of state and national-security adviser under the George W. Bush administration, harassed earlier this month into declining the invitation by Rutgers University to address this year's convocation. Most painful to me was the Harvard scene several years ago when the Committee on Degrees in Social Studies, celebrating its 50th anniversary, accepted a donation in honor of its former head tutor Martin Peretz, whose contributions to the university include the chair in Yiddish I have been privileged to hold. His enemies on campus generated a "party against Marty" that forced him to walk a gauntlet of jeering students for having allegedly offended Islam, while putting others on notice that they had best not be perceived guilty of association with him. Universities have not only failed to stand up to those who limit debate, they have played a part in encouraging them. The modish commitment to so-called diversity replaces the ideal of guaranteed equal treatment of individuals with guaranteed group preferences in hiring and curricular offerings.